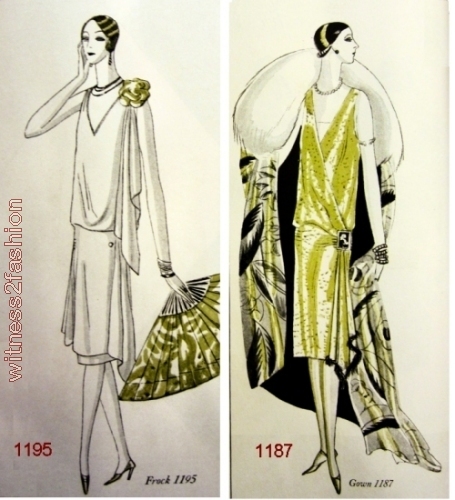 In spite of the long, narrow figures in 1920s fashion illustrations, twenties dress patterns were usually available in bust sizes 33 to 44 inches – the equivalent of a modern size 22. 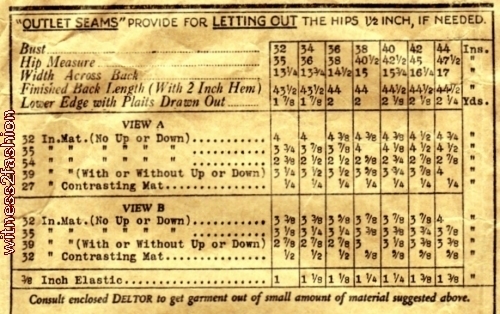 Butterick routinely issued patterns even larger than 44. The gorgeous evening dress above, pictured in gold metallic brocade, is sized 36 to 48. More about it later…. A woman with a 32″ bust was expected to have 35″ hips; a 38″ bust had 40 ½” hips; and a size 44 was assumed to have 47 ½” hips – and the pattern mentions “outlet seams” which can add another inch and a half if necessary. The ‘surplice line’ meant that there was a design line, often the front closing, that ran diagonally from one shoulder to the opposite hip. Draped fabric falling from that point – as in the gold evening gown, #1187 below – carries the eye down, rather than across the body. 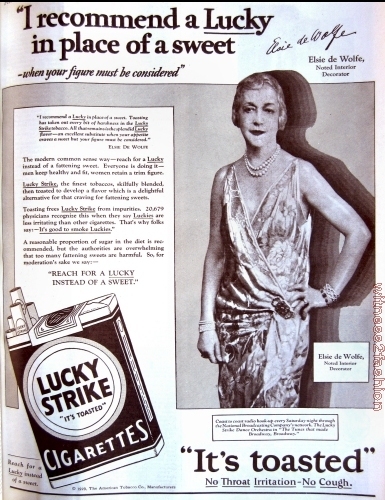 The surplice style was not limited to older women or those who had to “consider” their figures. 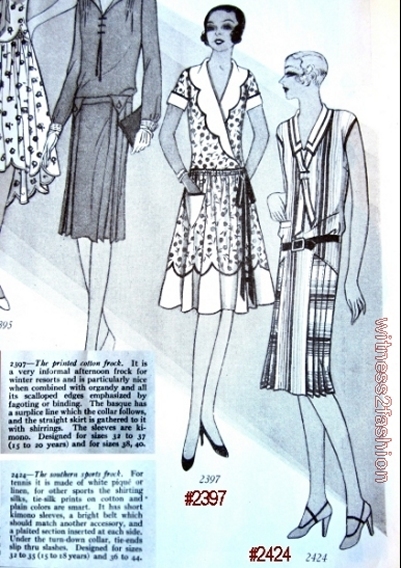 Butterick pattern #2397, “a very informal afternoon frock for winter resorts, [was] designed for sizes 32 to 37, 15 to 20 years, and for [ladies with bust measurement of] 38, 40.” The dress next to it, #2424, is also for teens “15 to 18 years and [women bust] 36 to 44 [inches. ]” A dress pattern for size 18 years had a 35 inch bust, but was proportioned for a smaller person. 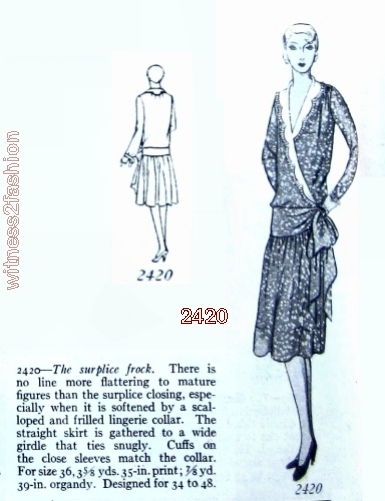 1920s pattern descriptions often say “15 to 20 and smaller women.” Butterick Patterns for women who were both short and stout did not become available until the 1930s, as far as I have seen — but I’m still looking.